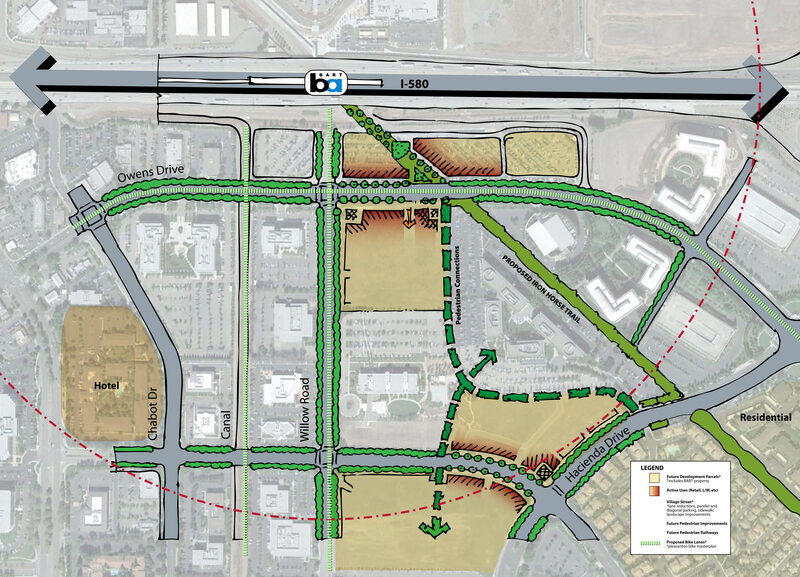 The Pleasanton TOD Standards and Guidelines, put together with TransACT for the City of Pleasanton and BART, creates overlay zones for three parcels in the Hacienda Business Park PUD and the BART parcel to allow for the incremental development of a TOD village around the East Dublin/Pleasanton BART Station. 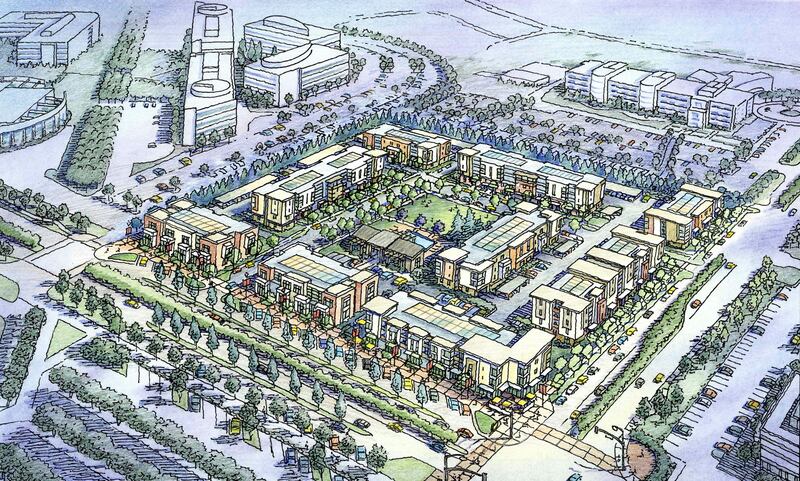 The Standards and Guidelines provide direction to developers and property owners on the key components of use, density, building mass and height, setbacks, architectural features, parking, access and street character. The development of the Standards and Guidelines included test development scenarios that tested the standards with different building types and densities. 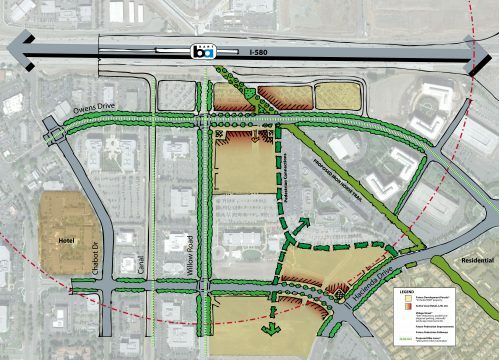 The Standards and Guidelines also included the schematic redesign of Owens Drive into a multi-way boulevard and a street hierarchy that included design standards for adjacent public streets, internal streets, alleys, and pedestrian mews.